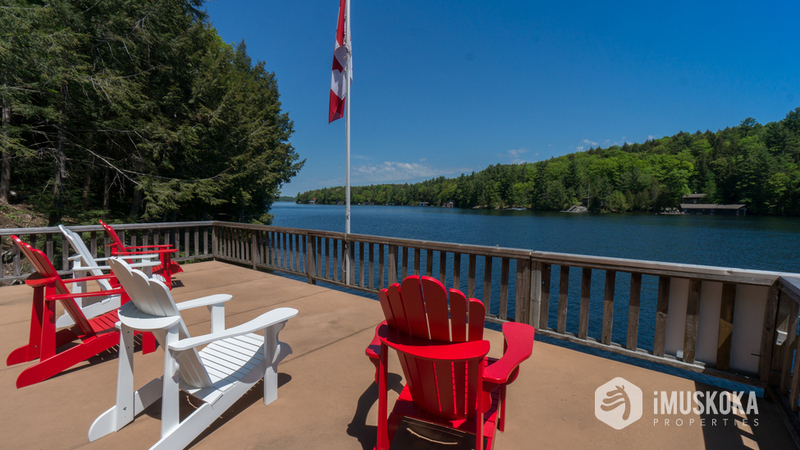 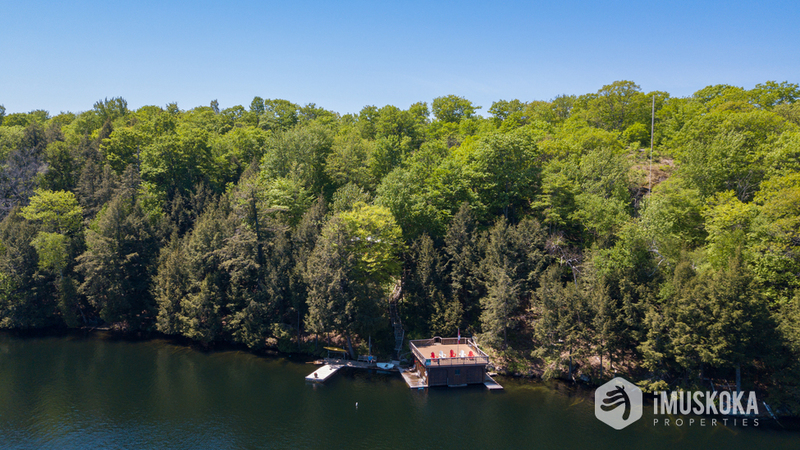 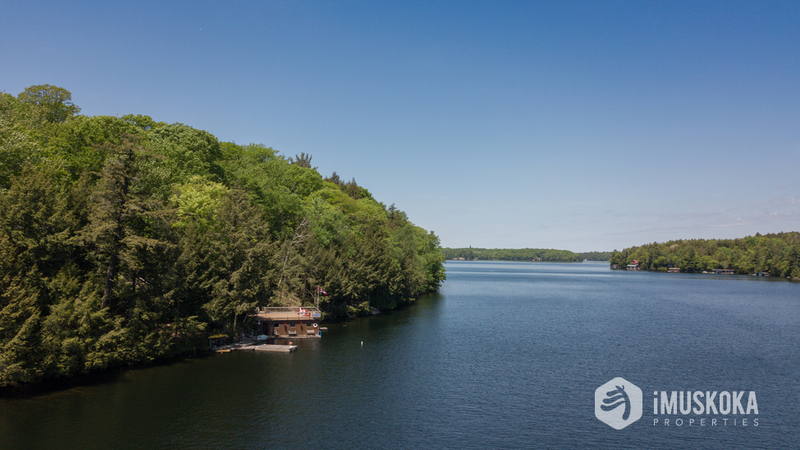 Wonderful property located close to Ovynbiird golf course with over 13 Acres, and has over 300’ of shoreline frontage to build the boathouse of your dreams. 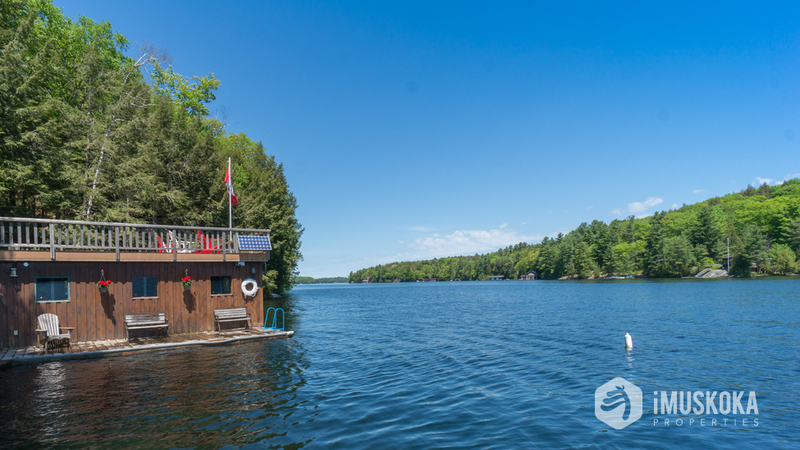 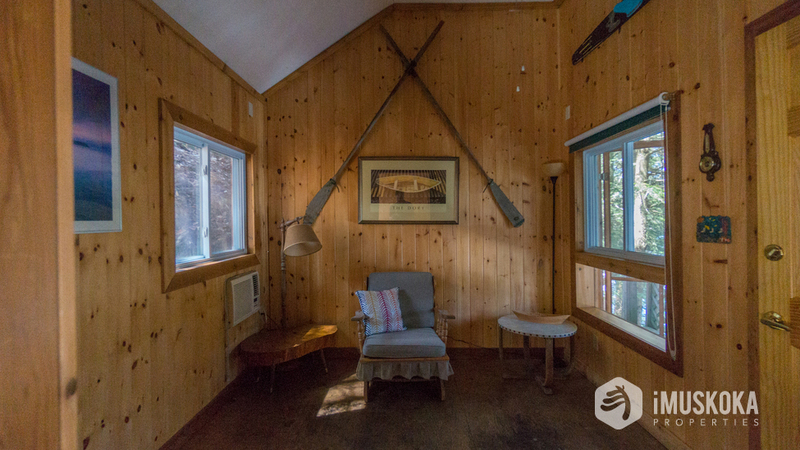 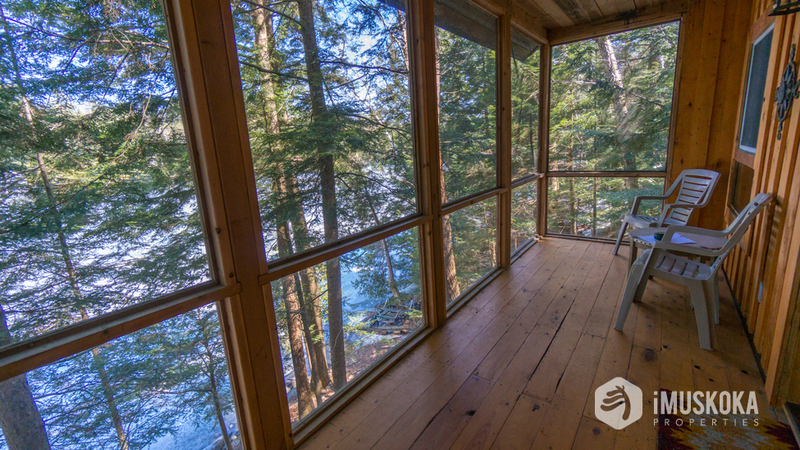 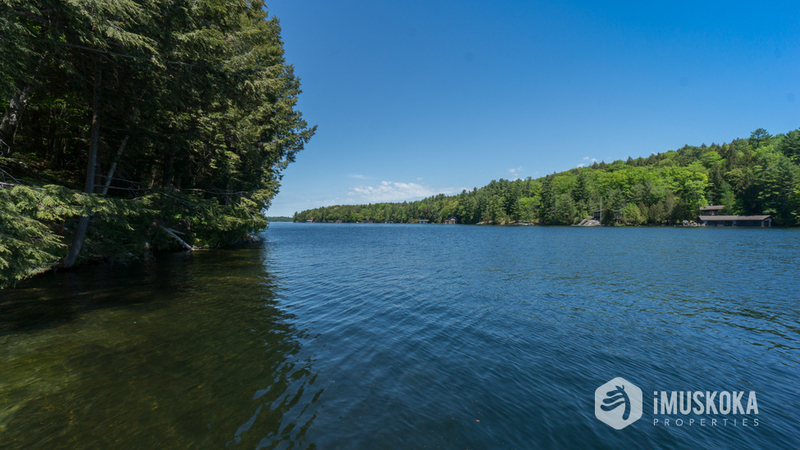 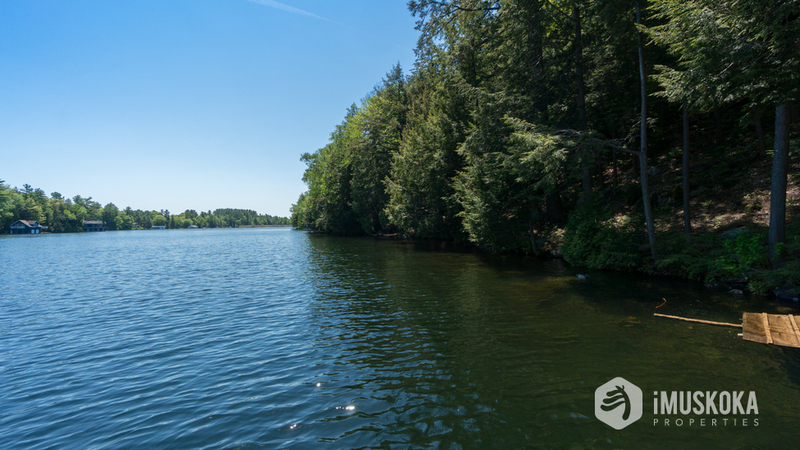 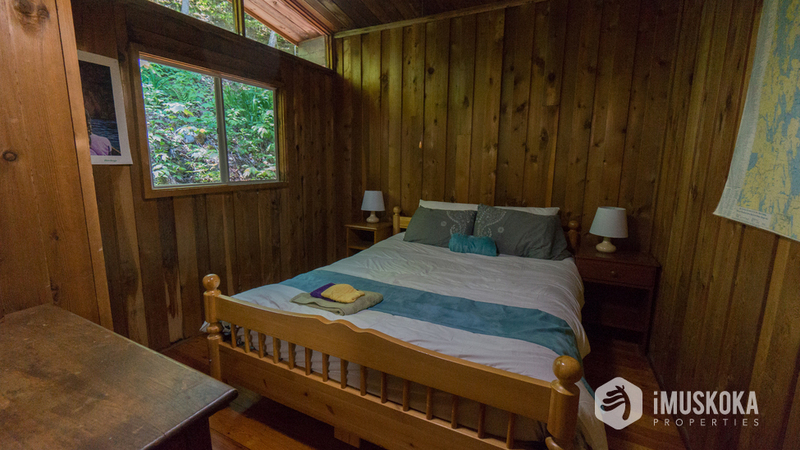 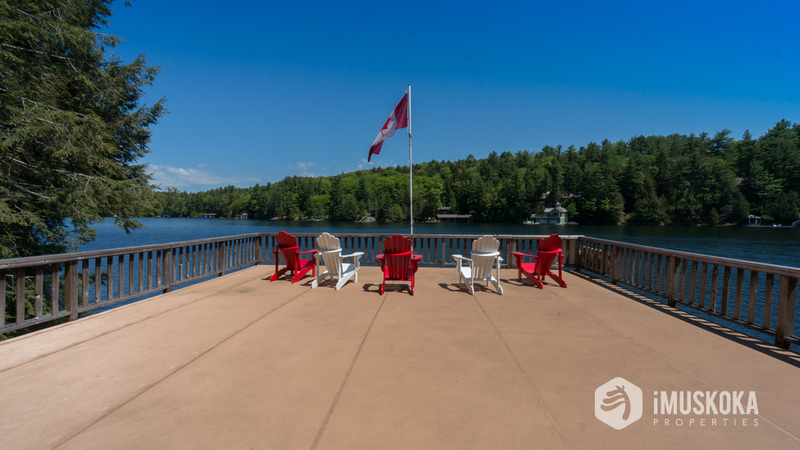 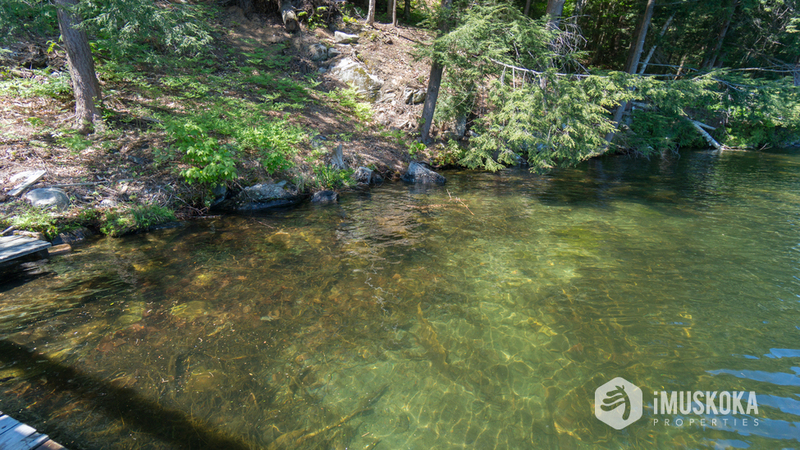 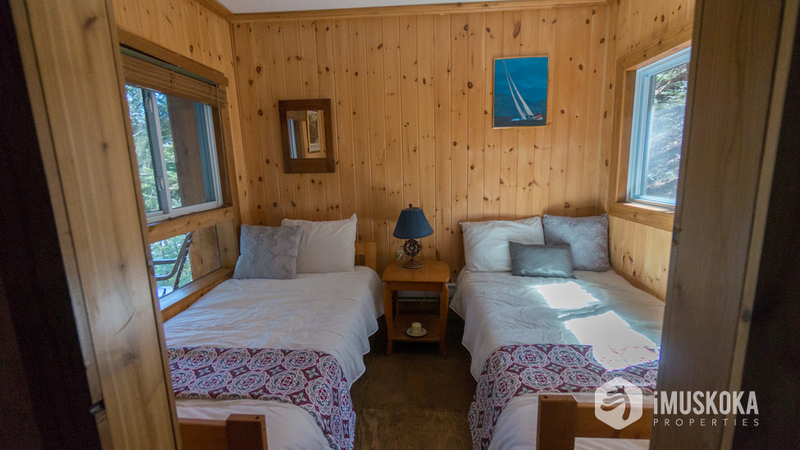 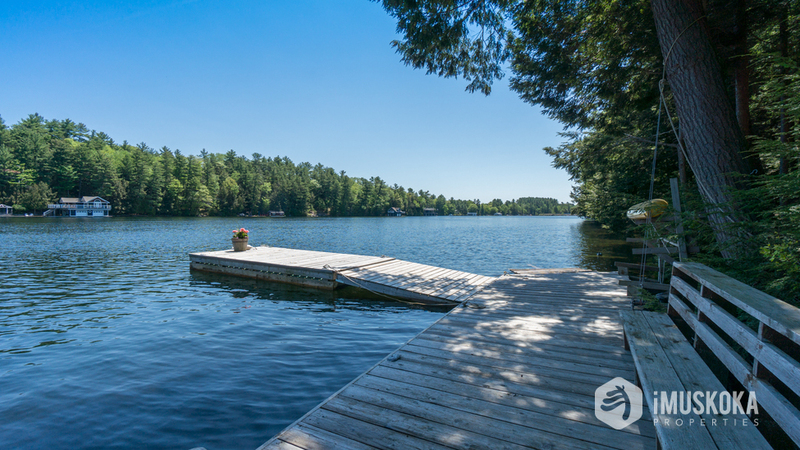 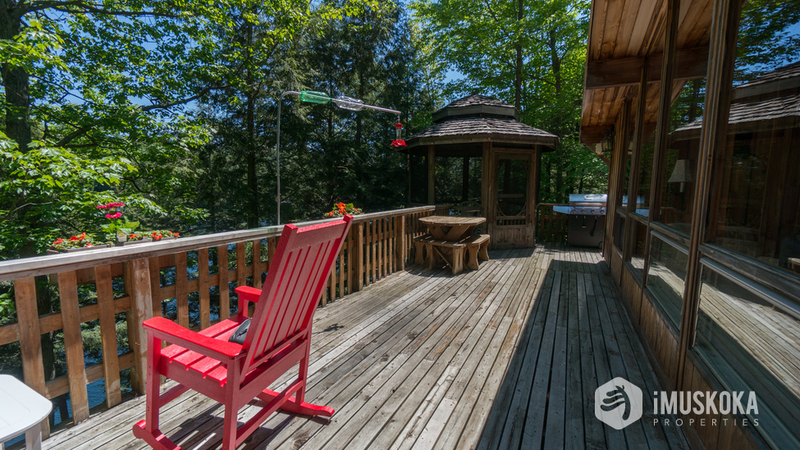 The current cottage has a 3 bedroom main, a 1 bedroom bunkie, and 2 slip boathouse with flat top deck to get great sun. 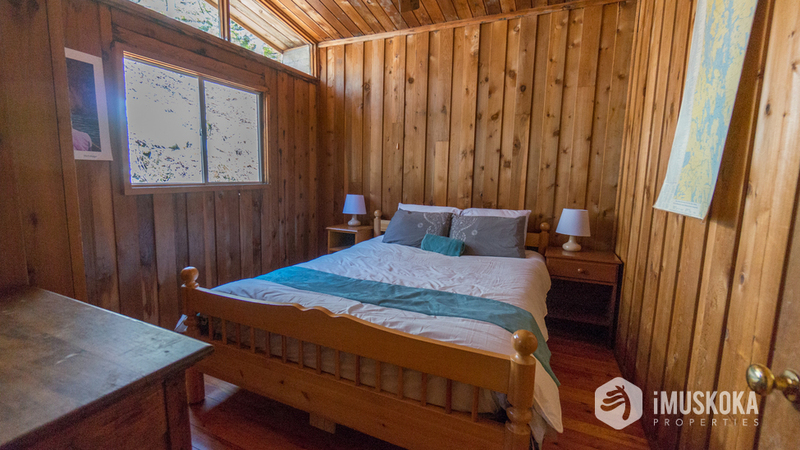 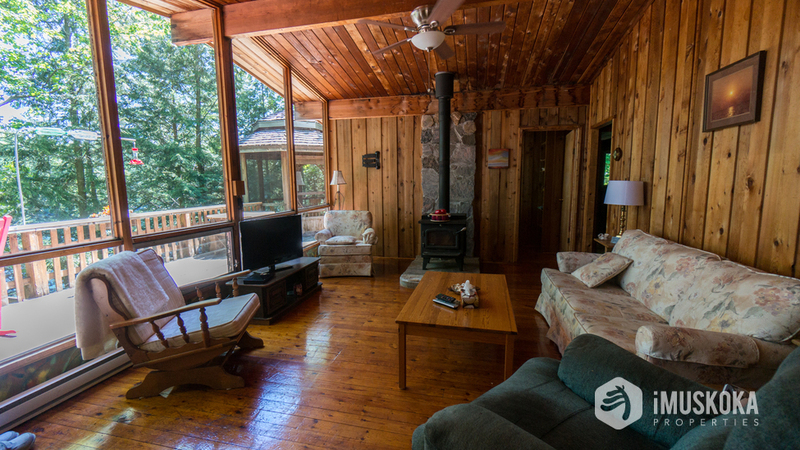 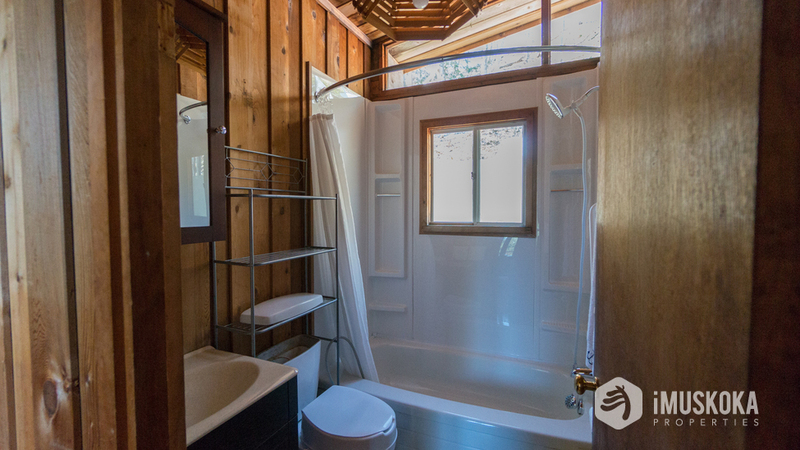 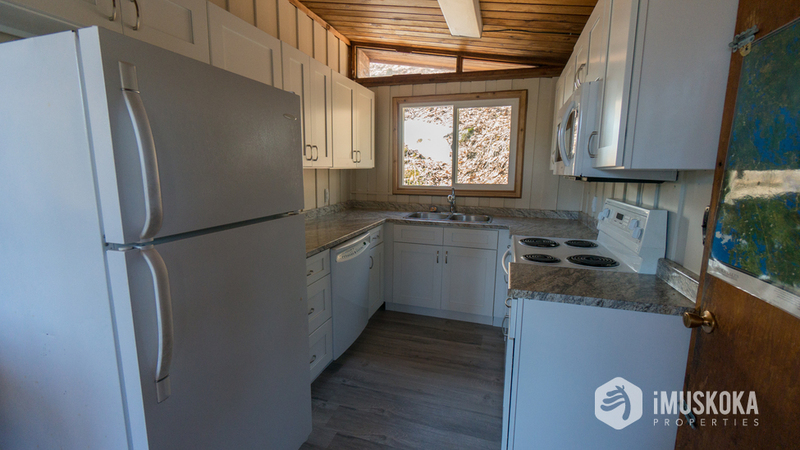 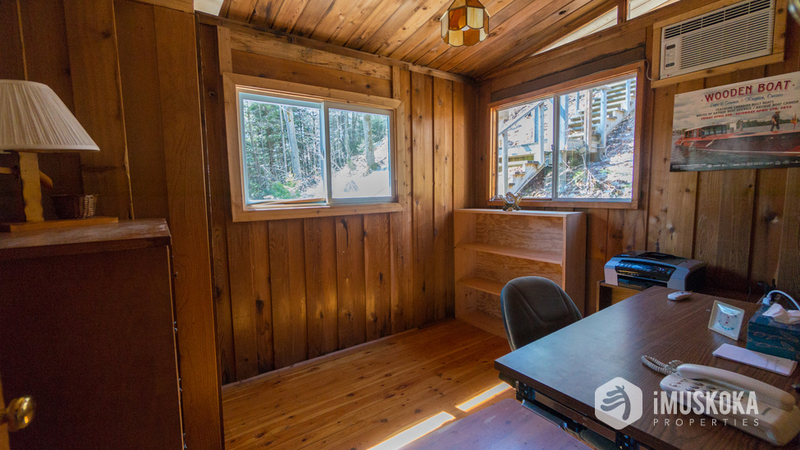 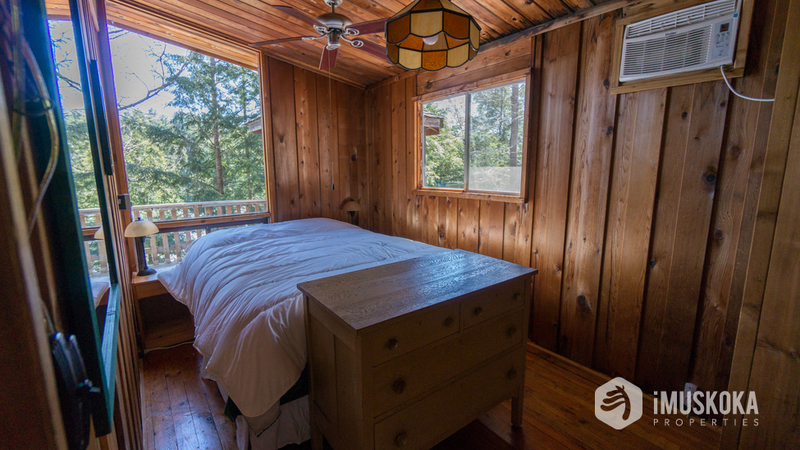 It is cedar lined with pine floors, a new kitchen, and inclinatior. 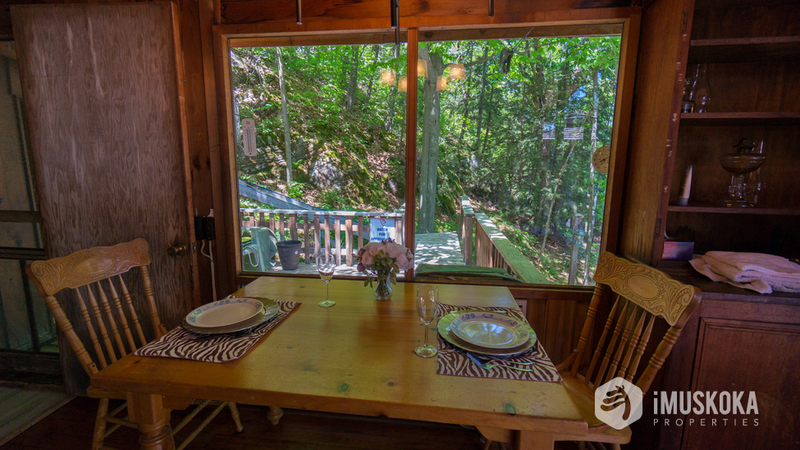 It is very cute and ready to enjoy. 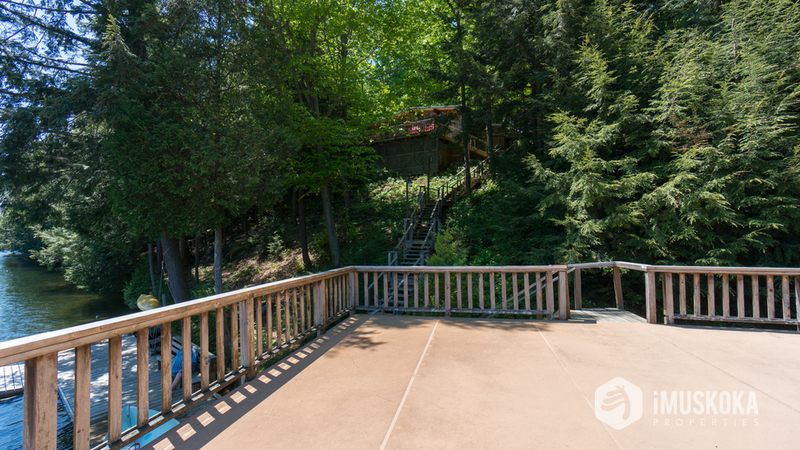 The property abuts a 66’ road allowance that provides additional privacy from neighbours, and also has a private laneway direct from highway 169 that could be constructed to improve the current access into the site. 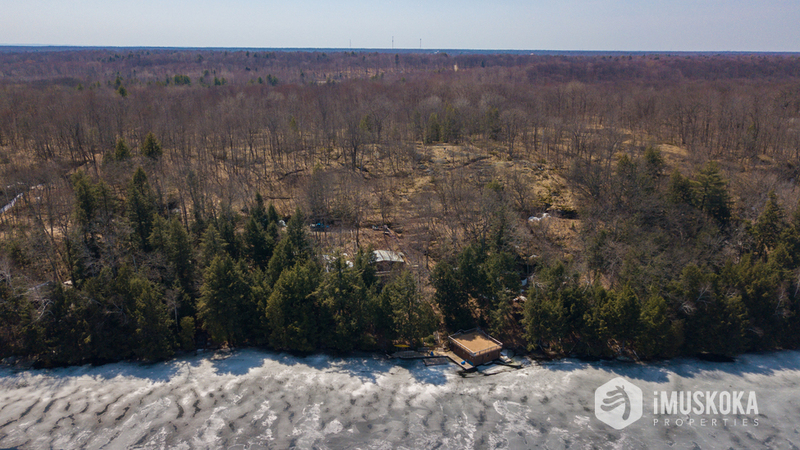 This is a wonderful and cost effective opportunity to get onto Lake Joseph and provide yourself a well valued 300’+ parcel with lots of acreage in an excellent neighbourhood with an easy drive distance to and from the city.